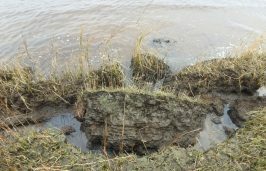 OAK ISLAND — Volunteers are needed to help monitor the progress of living shorelines and oyster reefs 10 a.m. to 2 p.m. Oct. 19 at Waterway Park. Hosted by the North Carolina Coastal Federation, volunteers will help record the types and amount of vegetation growing in the restored areas, as well as use survey equipment to measure shoreline changes. To monitor the reefs, volunteers will open up shell bags and measure and count the number of oysters, as well as identify other organisms. Salt marsh and reef restoration projects provide habitat, decrease erosion and improve water quality. 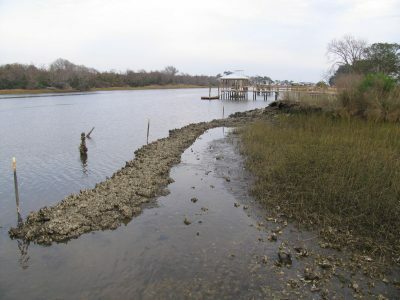 Oyster reefs are an important part of salt marsh restoration, according to the release. 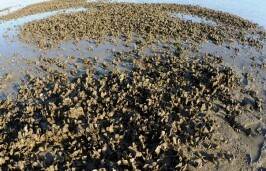 The federation and partners have installed several hundred feet of oyster reefs at several locations. The federation requests that all participants wear closed-toe shoes and boots will be provided for those who do not have them. The nonprofit organization also recommends that participants bring sunscreen, a hat and a reusable water bottle and wear clothes that can get muddy. Snacks and lunch will be provided. For more information, contact Jessica Gray at 910-509-2838 or jessicag@nccoast.org.